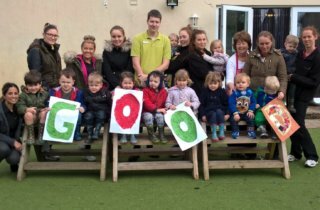 This year, Tops Day Nurseries is celebrating its 28th anniversary. 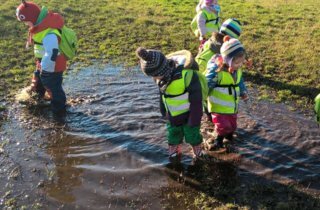 From its humble beginnings back in 1990, when a small nursery was opened in Parkstone for 4 children, we are now a family of nurseries across the south with over 3,000 children attending our nurseries. Here in her own words, founder and managing director Cheryl Hadland shares the history of Tops. Tops Day Nurseries came about because as a working mum, I was struggling to find childcare. Before starting Tops, I was a scuba diving instructor. My job was dictated by the tides and often meant early mornings and weekends. Trying to find a day nursery open at 7:00am in the morning or on a Saturday was impossible 25 years ago. 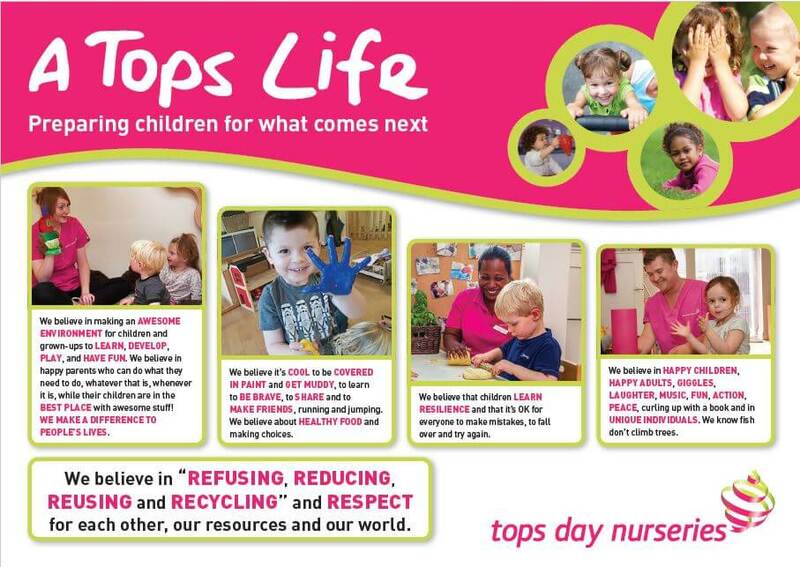 I had a vision for providing high quality, flexible childcare, and hence, Tops was born. When the very first Tops opened in Parkstone in 1990, we had 4 children. 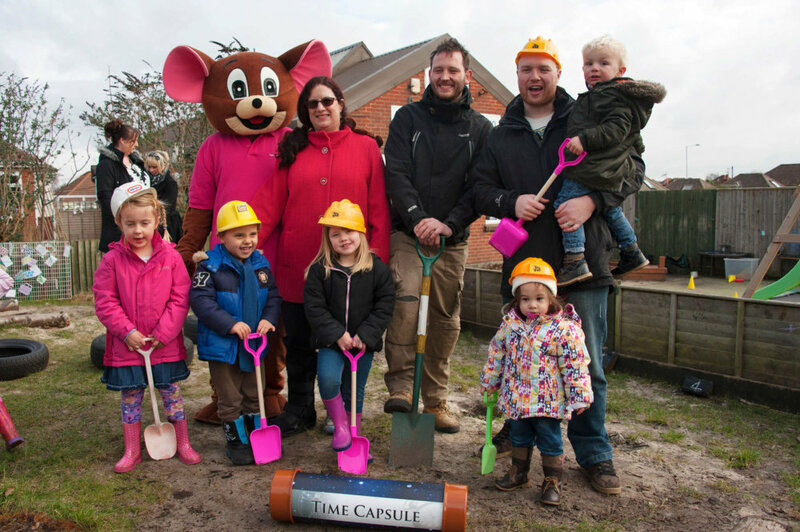 Today, we have over 3000 children attending 27 nurseries, a huge range of parent benefit and holiday clubs, providing care, education and entertainment to thousands of children aged 0-5. Cheryl Hadland with son Bruce, one of the first children to attend Tops Day Nurseries, grandson who attended Tops Portsmouth and other children attending Tops Parkstone. At Tops Day Nurseries, staff are given the opportunity to undertake Respectful Childcare training in order to be able to implement a consistent amount of respect across all ages, from babies to school aged children. respect for infants confidence and competence. Please visit our blog on Respectful Care for more information. What makes Tops so special? We work with our families to ensure that they get childcare that suits their requirements. 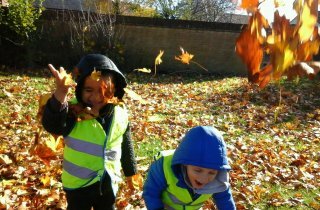 Tops are the only nursery group to offer flexible hours for families. We open early and close late and provide flexibility for parents who are working shifts. Most of our nurseries have a flexible holiday scheme and we open all bank holidays with the exception of Christmas Day, Boxing Day and New Years Day.